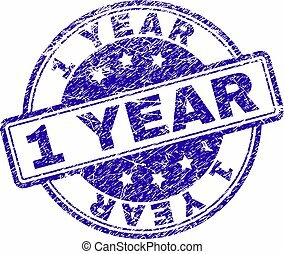 Grunge 1 year anniversary stamp seal. 1 year anniversary stamp watermark with corroded style. blue vector rubber seal print of 1 year anniversary tag with scratched texture. 1 YEAR ANNIVERSARY stamp watermark with corroded style. Blue vector rubber seal print of 1 YEAR ANNIVERSARY tag with scratched texture. 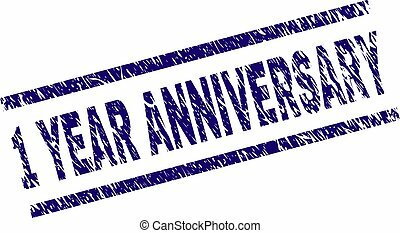 1 YEAR ANNIVERSARY stamp seal watermark with grunge style. 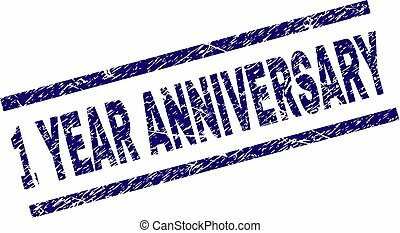 Blue vector rubber print of 1 YEAR ANNIVERSARY text with scratched texture. Text label is placed between parallel lines. 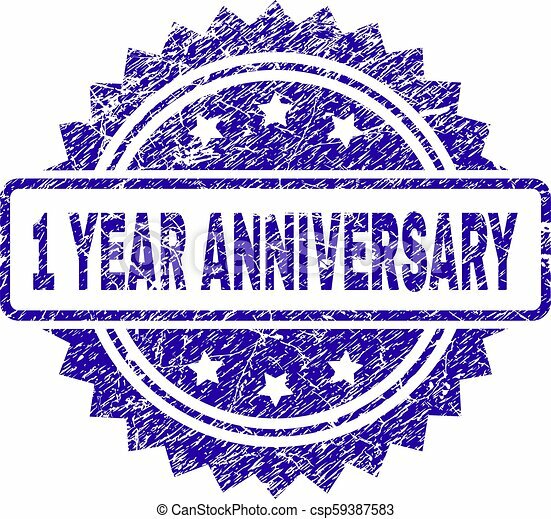 1 YEAR ANNIVERSARY stamp seal watermark with grunge texture. Designed with rounded rectangles and circles. 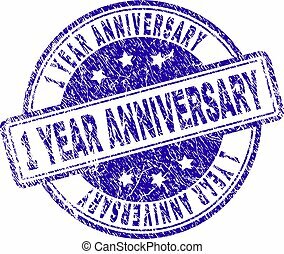 Blue vector rubber print of 1 YEAR ANNIVERSARY label with grunge texture. 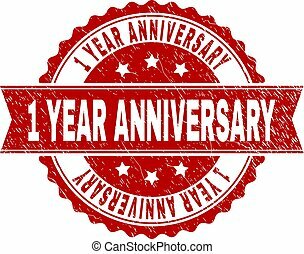 1 YEAR ANNIVERSARY stamp seal watermark with grunge style. Designed with rounded rectangle and circles. 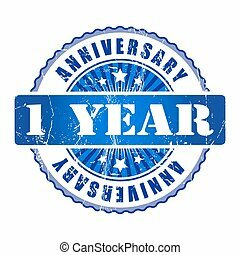 Blue vector rubber watermark of 1 YEAR ANNIVERSARY title with unclean style. 1 YEAR ANNIVERSARY stamp seal watermark with rubber print style. 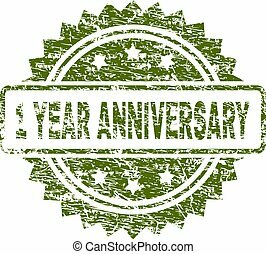 Green vector rubber print of 1 YEAR ANNIVERSARY text with corroded texture. 1 YEAR ANNIVERSARY stamp seal watermark with distress style. Designed with rectangle, circles and stars. 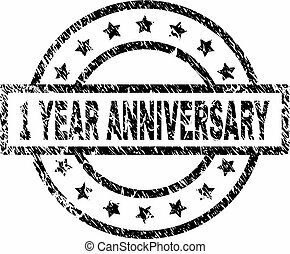 Black vector rubber print of 1 YEAR ANNIVERSARY caption with dirty texture. 1 ANNIVERSARY stamp imprint with scratched style. 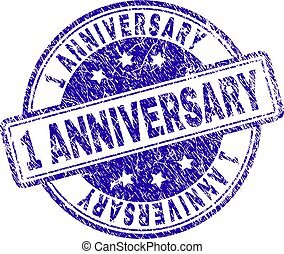 Blue vector rubber seal print of 1 ANNIVERSARY text with scratched texture. 1 YEAR ANNIVERSARY seal print with scratced style. Blue vector rubber print of 1 YEAR ANNIVERSARY text with retro texture. Text label is placed between parallel lines. 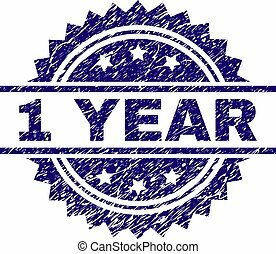 1 YEAR ANNIVERSARY seal imprint with distress texture. Rubber seal imitation has round medallion shape and contains ribbon. Red vector rubber print of 1 YEAR ANNIVERSARY caption with dirty texture. 1 YEAR ANNIVERSARY stamp seal watermark with distress texture. Designed with circles and stars. 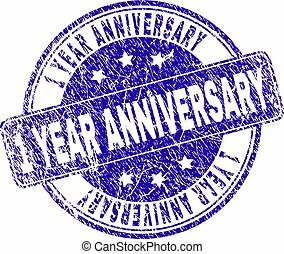 Blue vector rubber print of 1 YEAR ANNIVERSARY caption with dust texture. 1 YEAR stamp seal watermark with grunge texture. Designed with rounded rectangles and circles. 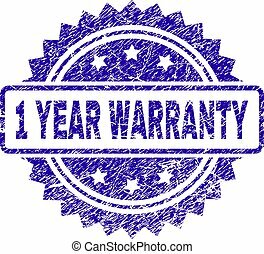 Blue vector rubber print of 1 YEAR label with corroded texture. 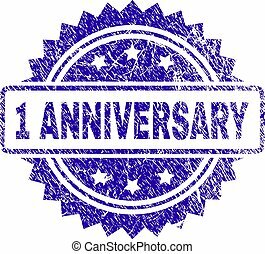 1 ANNIVERSARY stamp seal imprint with grunge texture. Designed with rounded rectangles and circles. 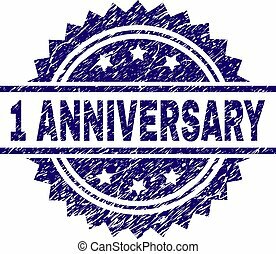 Blue vector rubber print of 1 ANNIVERSARY text with grunge texture. 1 YEAR stamp seal watermark with distress style. Blue vector rubber print of 1 YEAR title with corroded texture. 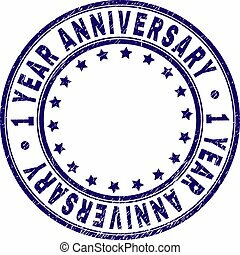 1 ANNIVERSARY stamp seal watermark with distress style. 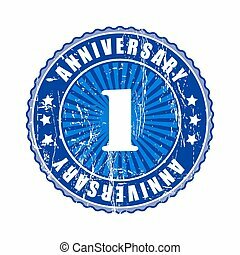 Blue vector rubber print of 1 ANNIVERSARY tag with dust texture. 1 YEAR ANNIVERSARY label seal print with distress texture. Text tag is placed between corners. 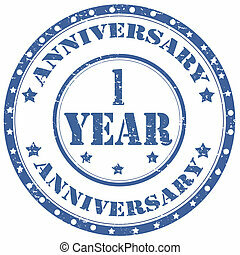 Blue vector rubber print of 1 YEAR ANNIVERSARY with grunge texture. 1 YEAR WARRANTY stamp imprint with scratched style. 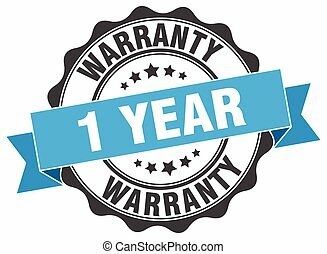 Blue vector rubber seal print of 1 YEAR WARRANTY title with scratched texture.